“By allowing soloists to shine in traditional music, the entire band is elevated. Acoustic bassist, Mary Burdette, straddles the lines between bluegrass, old-time and traditional music of the Old West, which she plays with impeccable timing and tone. Her clean, tasteful playing is proof that less can be more. During the last twenty years, Mary has toured the US, Canada and Europe with Skip Gorman, Tom Sauber, Patrick Sauber, and Ruthie Dornfeld, and performed at major music venues from Grass Valley (CA) to Lunenburg (NS); from IBMA to the European World of Bluegrass; and at the country’s leading cowboy poetry gatherings. 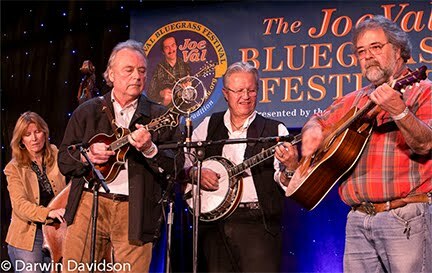 In 2015, she joined Gorman, Rick Starkey and Dave Kiphuth for a reunion of the classic brother duet, Rabbit in a Log, at the Joe Val Bluegrass Festival. Her bass playing and harmony vocals can be heard on Rounder and Music of the Old West recordings, as well as on the soundtrack of Ken Burns’ PBS documentary, Lewis and Clark: Journey of the Corps of Discovery and other collaborations. Mary began gigging professionally with John Rossbach and Chestnut Grove, a quartet that toured the Eastern seaboard and participated in a State Department cultural exchange to Trinidad and Tobago with banjo innovator Bill Keith, dance callers John Kirk and Trish Miller, and bandleader John Rossbach. 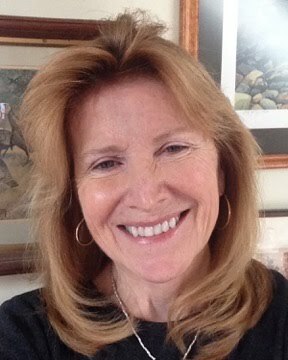 By day, Mary is Assistant Director of Grey Fox Bluegrass Festival in Oak Hill, NY, and co-coordinator of Augusta Heritage Bluegrass Week in Elkins, WV. She is an active member of the International Bluegrass Music Association and the Leadership Bluegrass Alumni Association. Video of Mary Burdette playing bass at Tex Logan’s 85th Birthday Bash hosted by Peter Rowan (with Barry Mitterhof, Skip Gorman, Fletcher Bright, Michael Cleveland, Matt Glaser, Suzie & Eric Thompson, Butch Robins, Kenny Kosek, Danny Weiss, and others). Filmed by Fred Robbins.